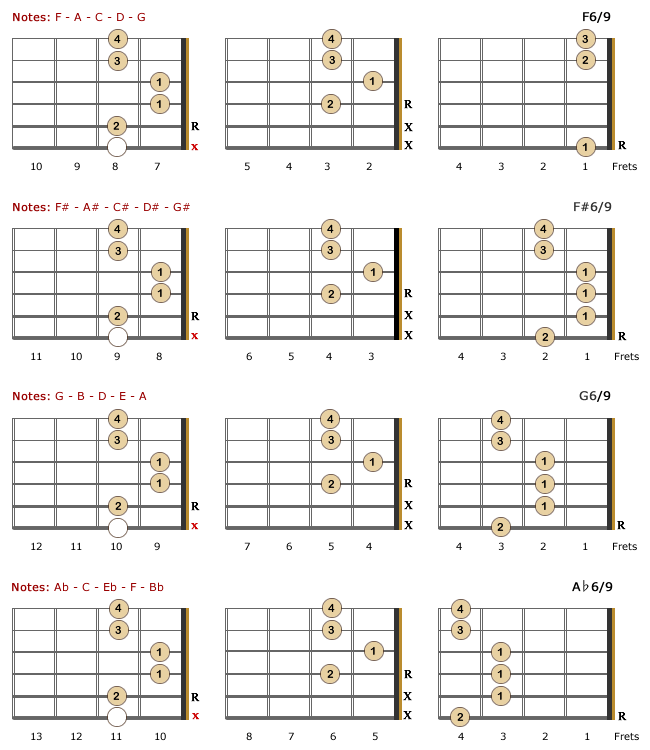 6/9 guitar chords are pentad or 5-note chords consisting of a major triad plus an added major 6th and 9th interval above the root ... but no 7th. It has a root, a major 3rd, a perfect 5th, a major 6th and added 9th. 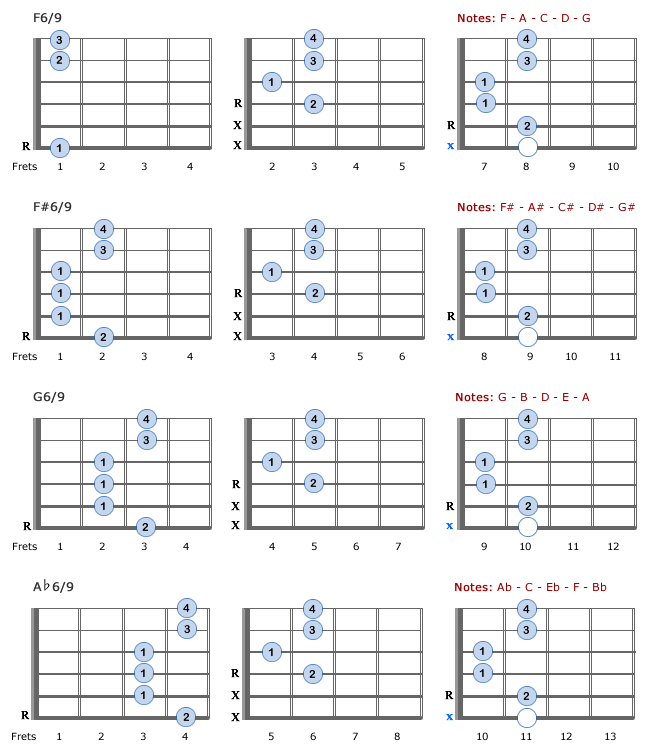 Put simply, a 6/9 chord is a major 6th chord with an added 9th. 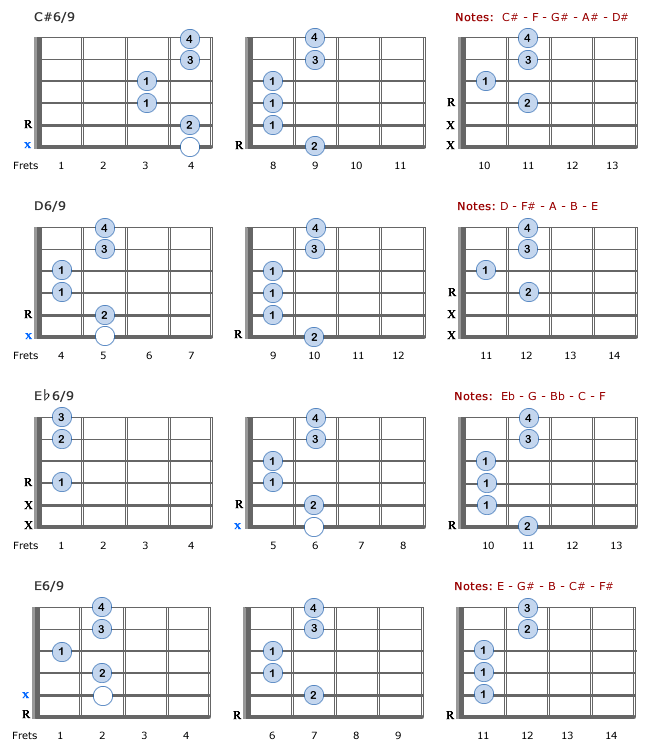 E chords are built around the E major scale. 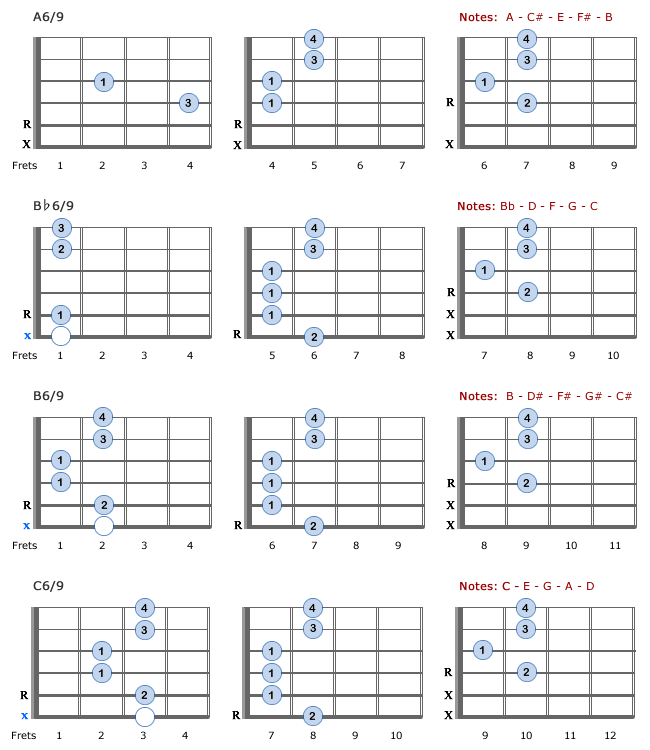 We need to extend the scale to include 9 notes as we need to add the 9th note which is one octave above the 2nd note. 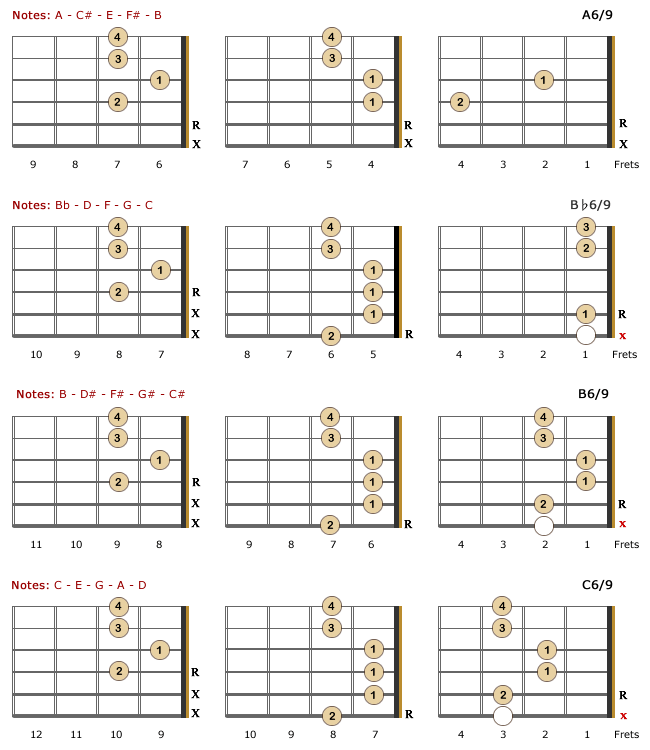 6/9 guitar chords are seldom used in modern music. 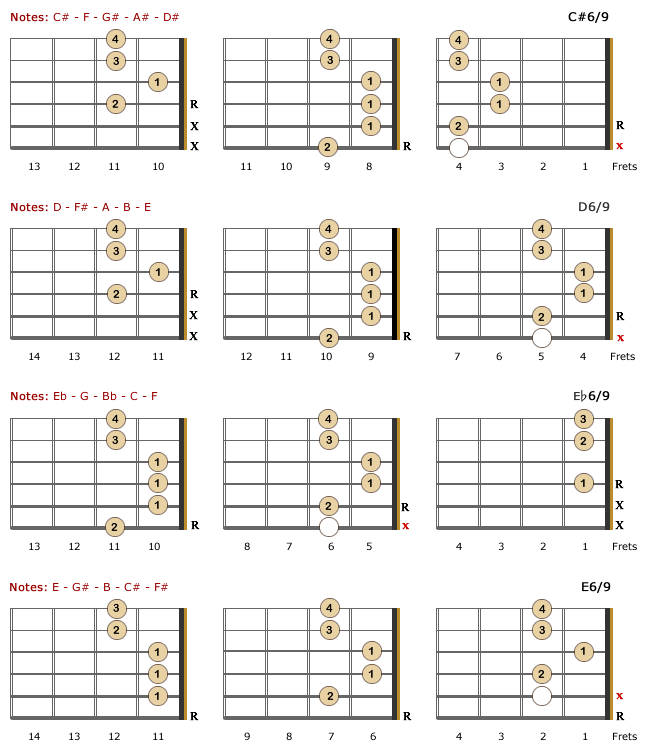 They are more widely used by Jazz guitarists who are always teasing and tantalizing with a wide variety of alternative chords looking for the perfect recipe to satiate the hungriest of enthusiasts!